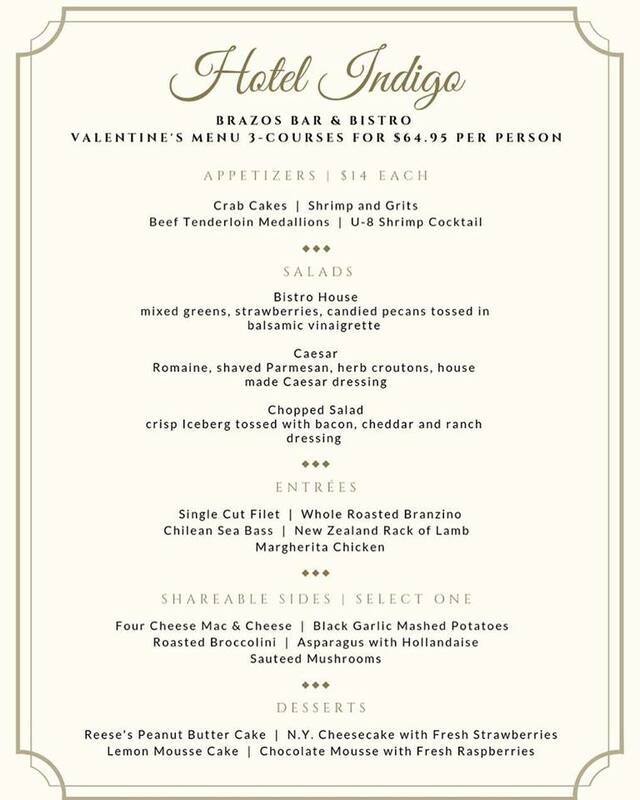 Celebrate your loved one this Valentine’s Day at Brazos Bar & Bistro located inside the Hotel Indigo. Reservations are limited. Three seatings at 5 pm, 7 pm & 9 pm. Call (254) 754-7000. $64.95 per person.